Wrist monitors are more compact and portable-but also more sensitive to proper technique. That’s why we designed our monitor with a built-in Position Assistant that corrects your arm position in real time, and our support team is just a phone call away if you have questions. 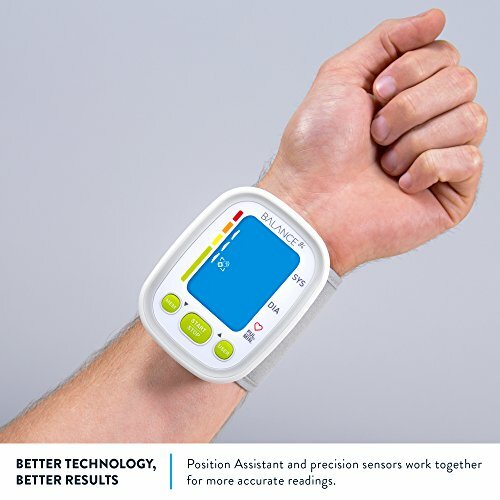 This wrist monitor makes a great companion to the at-home upper arm monitors in our collection for the times you want to check your pressure on the go. 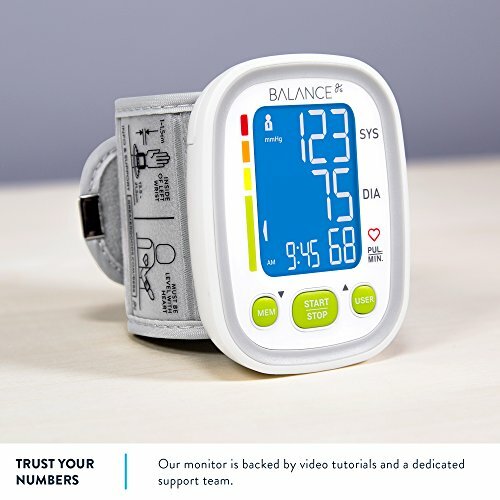 FEATURES: This monitor shows your systolic and diastolic blood pressure, as well as pulse, on a large, backlit display. When enabled, the Position Assistant guides you to the correct arm position to get accurate results. 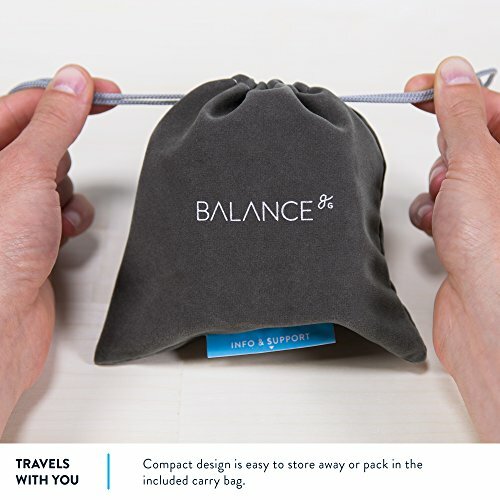 Measuring a compact 3.3 inches by 2.5 inches, our monitor is portable and easy to store in the included carry bag. LCD display with oversized numbers. 2 users can store up to 60 records each and view their own 3-day average. 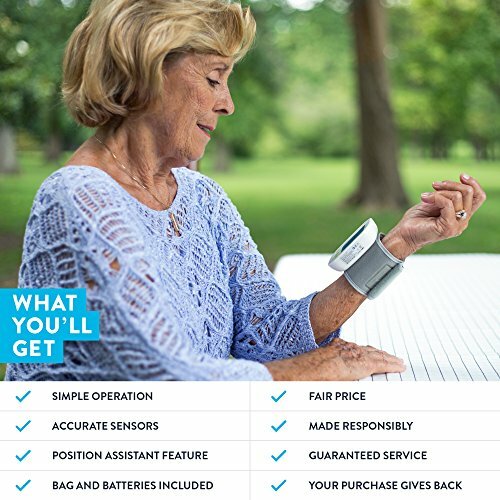 The adjustable cuff fits most adult users, accommodating wrist circumferences from 13.5 cm to 21.5 cm. Simple 3-button operation. Irregular heartbeat sensor. 2 AAA batteries included. Cleared for use as a medical device. Compare to Omron.THE RIGHT CHOICE: Accurate results backed by an extended warranty and a dedicated US service team.